Witness the unbelievable riches of the Pharaoh’s court, with its strange hieroglyphs, jewels and rituals. 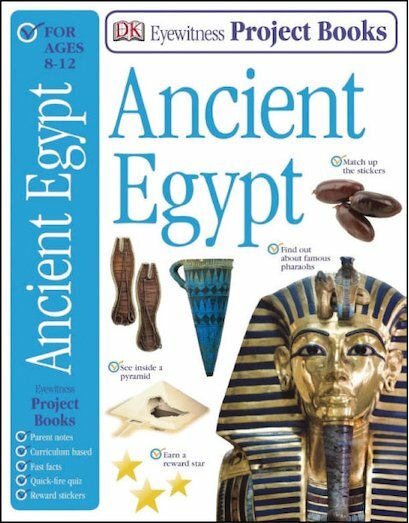 Travel back in time and see how the Ancient Egyptians lived with this fun fill-in workbook. It’s all interactive, which means you don’t just read: you get stuck in and explore! So try a quick-fire quiz! Turn the wheel to pick an activity! Stick in stickers! Memorize fast facts! What with a progress chart, reward stickers and a pull-out certificate, you’ll soon be sailing down the Nile!